Located in Shrewsbury, Severndale Specialist Academy has over 400 students on roll and caters for the educational needs of young people with a complete range of abilities from the ages of 2 to 19. 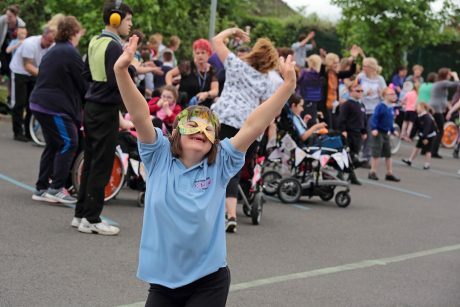 The school community is committed to strong values that surround inclusion at every age, stage of development and level of ability, and challenges the dominant narrative around societal perspectives of children and young people identified as having special educational needs. At Severndale, the pupil’s engagement and enjoyment is considered essential in encouraging effective and meaningful learning experiences. This 2018/19 academic year, Shropshire Music Service nominated Severndale Specialist Academy as a Music Mark School Member in recognition of their commitment to delivering high quality teaching and learning through music. 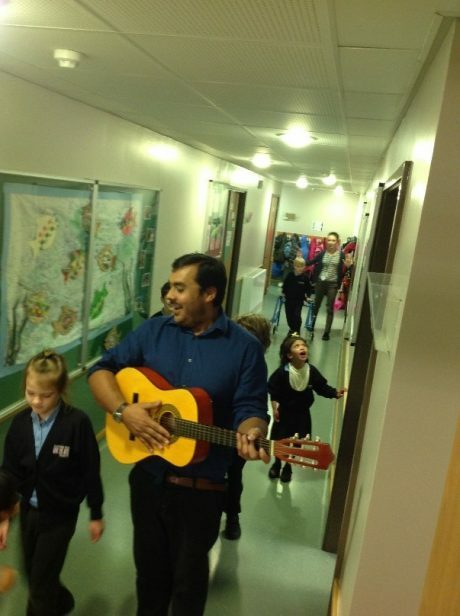 Daniel Ryng, SEN Teacher and PSHE Lead at Severndale, shares with us how his school strives to creatively utilise music for all of their children and young people to access learning, engage them in meaningful learning experiences and support them to meet their fullest potential. Here are some learning experiences from a typical school day. “It’s just before the school’s opening time and there is tangible excitement in the air! Teachers and support staff from our school are hurriedly making their way to meet students coming into school and support them getting to their classes. Today is a little bit different though. Staff have been diligently practising their Makaton signing whilst simultaneously singing along to the song ‘Can’t smile without you’ by Barry Manilow. This song is going to be performed each morning throughout the next few weeks as students arrive into school. The idea came to staff as a way to give our students and staff a welcoming and uplifting start to the day. Also, this idea provides extra practice for the schools upcoming ‘Guinness World Record’ attempt for the “most people signing in Makaton simultaneously”. The enormous smiles, curiosity and wonder evident on both the student’s and parent’s faces as they arrive at the school gates is fantastic to witness. What a great way to start the day! We could be here all day…but it’s time to get to class…we’ll keep you posted on the results of our Guinness World Record’ attempt. As our students settle into a new day, many classes get ready to start their ‘Communication through Music’ sessions. This was developed by staff in our school in recognition of the powerful impact music has in supporting the communication needs our diverse learners. Our ‘Communication through Music’ sessions are designed to aid both our non-verbal and verbal learners in sustaining their attention and support the development of important concentration skills for learning. The sessions also give students who have language difficulties or may be non-verbal communicators a platform to develop their receptive and expressive communication skills. Additionally, these sessions aid our students in developing skills for other areas of learning such as: anticipating, responding, choice making and turn taking. Students play follow the leader and develop their understanding of directional language, taking turns to choose which way we move. We sing directional instructions to various well know tunes. Today, learning through music doesn’t stop there! Our next timetabled session is Maths and this week were learning about positional and directional language. What better way to support our student’s engagement and understanding of this, than to use our musical skills and include some singing and dancing. This approach supports student’s engagement but most importantly reinforces the vocabulary and conceptual understanding of positional/directional language. After a short break and refuel, it’s time to start our next learning session. Today, our students will attend a musical intervention session with the aim of developing a range of skills. These include listening and attention skills and important collaborative skills to develop student’s social awareness and co-operation. Some of these sessions are delivered by external music professionals. Here at Severndale ‘Will and Dean’ are a family duo who run these workshops for our students. I ask Dean a difficult question, why does he think music is such a powerful learning tool? “I think it’s just all about engagement and enjoyment” explains Dean. “We’ve known this for years but music has the power to reach students of all backgrounds, abilities and ages and bring them together for a common purpose. It’s amazing for me to watch their confidence, skills and understanding develop over the course of the sessions with them…it’s powerful stuff…I just love it”. Our academy also collaborates with local storyteller, musician and community artist Sally Tonge. Sally tells stories combined with music, and is especially skilled at working with young children, children with special and additional needs and people living with dementia and memory impairment. Sally also runs a weekly drop in ‘Social Sing’ session where our students are invited to join in and enjoy the pleasurable musical experiences she creates. Our school staff, and the parents of our students, recognise the many benefits of music, and the joyful and enriching experiences it brings to our students’ learning. It is a real pleasure to see this happening as a pedagogical approach by staff throughout our setting. 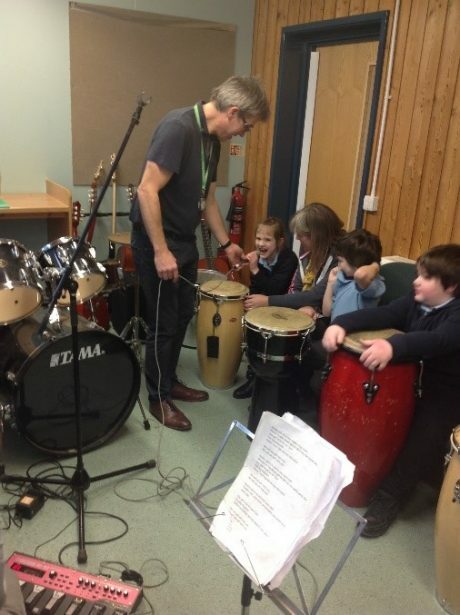 Severndale Specialist Academy is a Music Mark School Member, nominated by Shropshire Music Service. Read HERE for more on School Membership.